Divine Angel is the kindest angel in the universe. She loves peace and seek for a peaceful life. When peace was broken by the dark forces, she decided to descend down from the sky and look for ways to save the world. 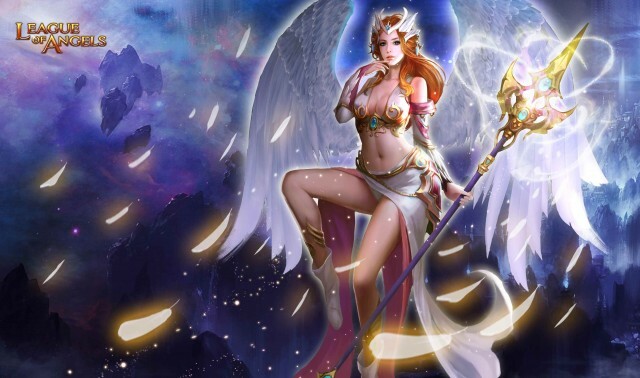 She is one of most brave heroine on earth and in order to destroy the dark forces, she is willing to fight with angels, humans, and any other creature that appreciate justice. Now, it’s her time to fight and bring peace back to the land! Battle Skill: Increase agility by 25% with 2 turns (stackable with other Agility increasing effects) . Regular Skill: Cost 50 Rage to cast. Deals (145% ATK +800) to two enemies with the highest agility with a 22% chance to stun the targets, lasts 2 turns.